“There are signs of a definite white smoke,” CORD suspend anti-IEBC protests – Kenyatta University TV (KUTV). All Rights Reserved. The announcement to suspend anti-protests was made through a statement sent to media houses by Coalition for Reforms and Democracy (CORD) management committee co-chair Mr. James Orengo. According to the statement, significant changes towards IEBC changes had been observed, something that necessitated them to call off the demonstrations as the dialogue team is formed to resolve the stalemate. “There are signs of a definite white smoke above political scene in reaching an agreement between CORD and Jubilee in respect of the Independent Electoral and Boundaries Commission (IEBC) issue and the electoral process,” stated Orengo. 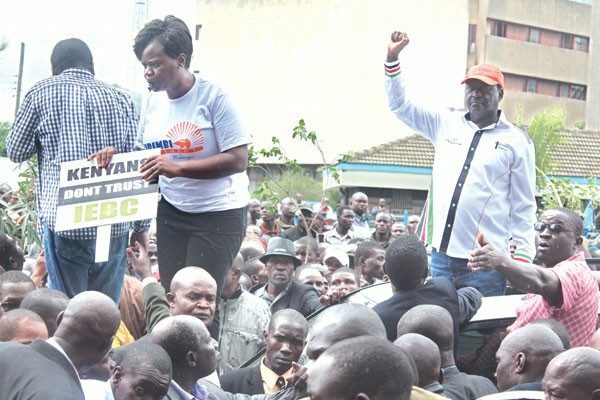 The opposition has in the past held several demonstrations protesting the occupation of office by current chair Isaac Hassan as they demanded that he and his team quits office.